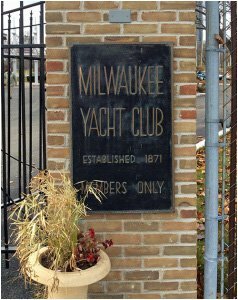 On November 21, 2014 Lights of the Lakes was presented at the Milwaukee Yacht Club to 35 members of the Cruising Fleet. 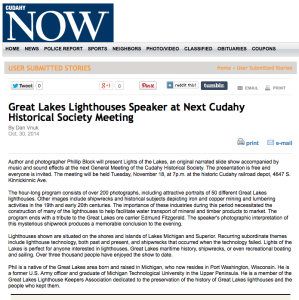 Presented another Lights of the Lakes show last night to about 30 members and guests of the Cudahy (WI) HIstorical Society. On a very cold November night, these hardy souls gathered in the historic 1893 Cudahy Depot to enjoy the show. 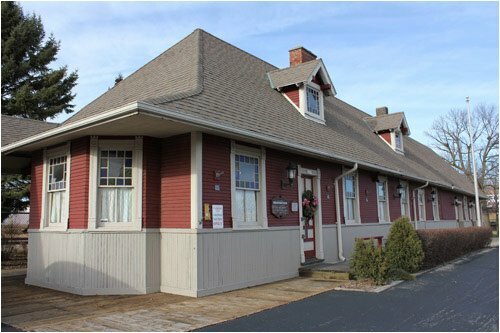 Lights of the Lakes was presented at the historic Cudahy Train Depot, which is listed on the National Register of Historic Places and the State of Wisconsin Registry of Historic Places. 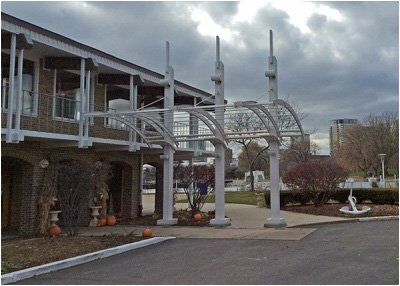 The building is now the headquarters of the Cudahy Historical Society.